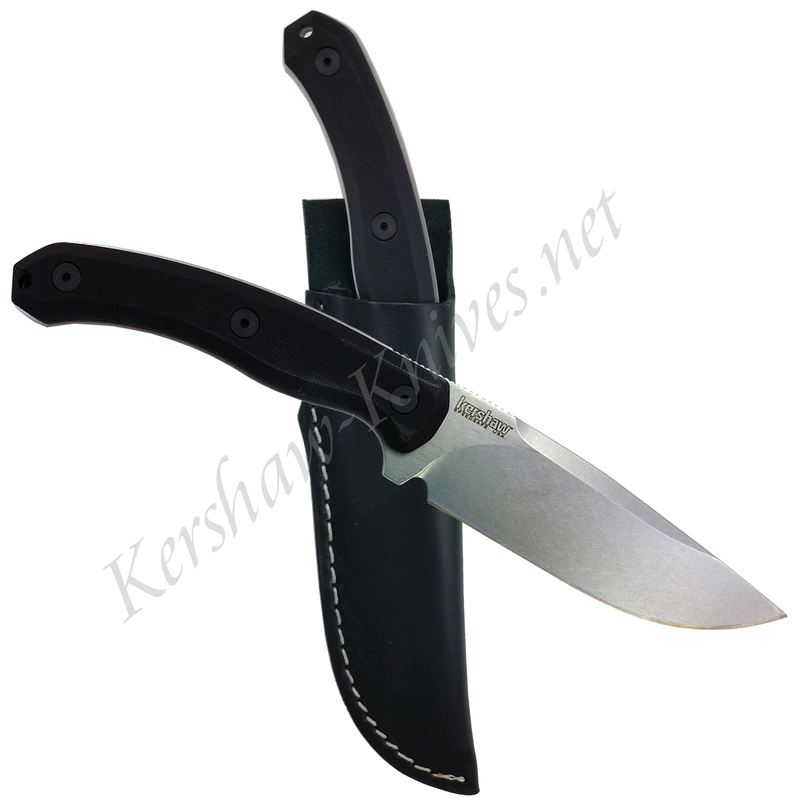 Kershaw Diskin Hunter 1085 is a great fixed blade ready for any field dressing needs. This is a large drop point that measures 4.4 inches long, this is a full tang made ofSandvik 14C28N steel and completed with a stonewashed finish. The hunter is complete with a leather sheath and Made in the USA! The handle is made of Textured G-10 scales to help give a firm grip for your hunting activities. If you want your knife big, than this is the one you are looking for.